Ethereum (ETH) has been all over the place. It rose from below $ 100 to $ 1200. It is fallen all the way back to $ 125. It clearly indicates that something is wrong with Ethereum (ETH). The problem is the main issue is recognizable for most of the traders and investors. It is scalability. Unless and until Ethereum (ETH) developers tackle this problem, it will be challenging for Ethereum (ETH) to move forward. Currently, the elephant in the room for Ethereum (ETH) is scalability. When a decentralized application or some other application of the Ethereum (ETH) blockchain becomes popular, the entire network slows down. In such a case, proper scalability cannot be achieved. Many of the developers are moving away from the Ethereum (ETH) blockchain due to the same reason. On the other hand, there are credible alternatives which are available these days. Options are EOS and Tron (TRX). Earlier, whenever such a problem occurred, there were no feasible alternatives. Also, since the scale of usage of the blockchain technology was on the lower side, such a problem seldom occurred. However, this time around the problem is happening much more frequently. As a result, the entire blockchain is slowing down. Ethereum (ETH) provides the advantage of efficient blockchain to build the decentralized application. In this, the very edge of the Ethereum (ETH) blockchain is minimized, there will be no reason why the developers will use this blockchain time and again. That is why it is essential for Ethereum (ETH) to handle the elephant in the room and to sort out the scalability issues. The problem is that with the pace at which the developers are migrating from Ethereum (ETH) to EOS and Tron (TRX), is pretty fast. 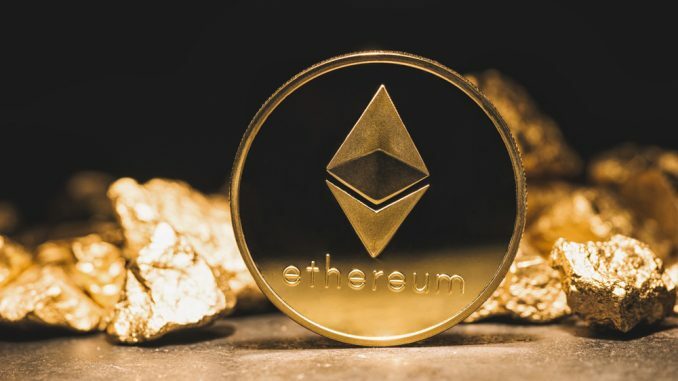 If something is not done about this problem quickly, Ethereum (ETH) will continue to lose users of the blockchain technology. In such a case, it will be tough for Ethereum (ETH) to head onto old highs. The founder of Tron (TRX), Justin Sun is already making the most to attract more and more developers for the Ethereum (ETH) blockchain. It is offering decentralized applications migration fun to attract more developers from the other blockchains. It seems to be working for now. That is why time is running out for Ethereum (ETH). Unless and until it does not tackle the elephant in the room, it will be tough for it to gain users and even retain the current users consistently. Iota (MIOTA) News – What are the reasons which could propel IOTA (MIOTA) higher?